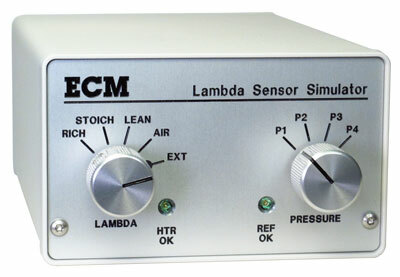 The Lambda (AFR) Simulator (SIM800) simulates the output of a Bosch LSU4.9 lambda sensor. Simply remove the Bosch sensor and attach the SIM800 and the McLaren ECU will act as if it is attached to a LSU4.9 sensor in a running engine. Different lambdas (AFRs) can be simulated by turning the knob or via a 0 to 5 V signal fed into the back of the unit. 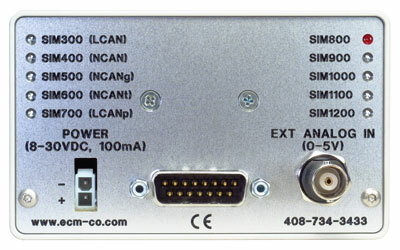 The SIM800 is used to check out operation of the McLaren ECU or as part of a hardware-in-the-loop simulation of a complete engine control system.